8112A - qualifications, 4 wins, 3 losses, 13th place. 7th alliance selector. Eliminations, 0 wins, 2 losses. 8112Z - qualifications, 3 wins, 4 losses, 17th place. Selected into 4th alliance. Eliminations, 2 wins, 2 losses. Total 5 wins, 6 losses. 8112A (High School Team) finished the qualification rounds in 13th place (4-3 record) and ended up choosing their alliance as the #7 team. They lost in the quarterfinals with 8440B and 8110R. 8112Z (Middle School Team) finished the qualifications rounds in 17th place (3-4 record) and was chosen by 7225A to be in an alliance with them and 8440A. The alliance advance to the semifinals before losing to the eventual champions. 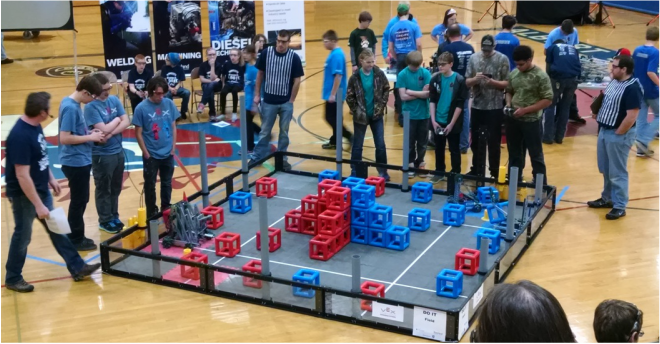 After four years of participating in FIRST Robotics during the RiverBend Academy days, the school switched names and robotic competitions to VEX Robotics in order to better fit the school's curriculum and abilities. During the 2014-15 season, the team participated in two events: The Dream It. Do It. 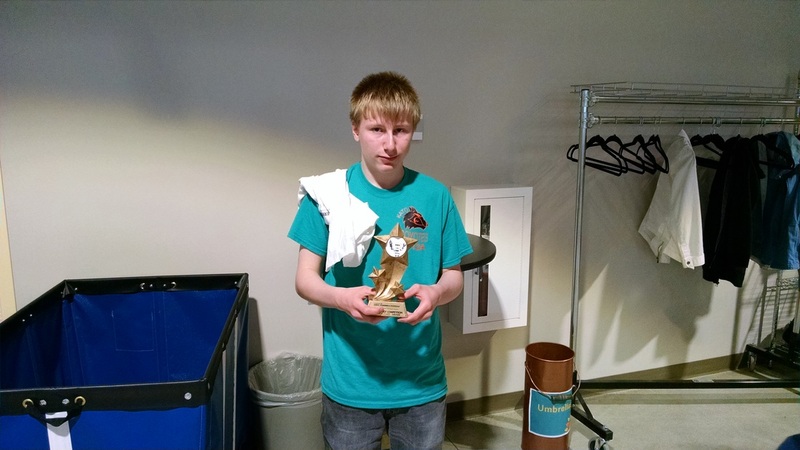 Southern Minnesota VEX Robotics Tournament in Albert Lea and the Dream It. Do It. Minnesota State Tournament in St. Cloud. 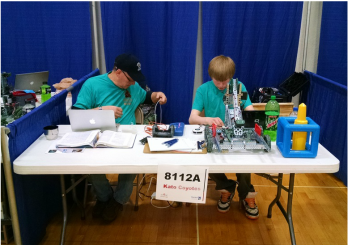 This year, we have 18 students on two different teams, 8112A (High School) and 8112Z (Middle School). Both teams will participate in the Greater Mankato Vex Tournament at Mankato East High School on Saturday, November 14 and the Windom Eagles Nothing But Net Robotics Tournament at Windom Area High School on Saturday, January 9. If they are able to do well enough to qualify for the state tournament, they will be in action on Friday, January 29 and Saturday, January 30 in at the St. Cloud Civic Center in St. Cloud, Minnesota. This would require the teams to stay overnight on Friday night at a nearby hotel. We have had two sponsors really help us this school year. Last school year, near the end of our season, Analog Devices gave us $5,000 for our team. We have used that money this year to build our own practice field, purchase extra robotics parts, and have some money left over that could be used to travel to other tournaments. We have also had help from the North Mankato American Legion through Ivy Lewis. Ivy is a big supporter of not only our team, but also the school. If interested in joining the team or providing financial support, please call us at 507-387-5524.